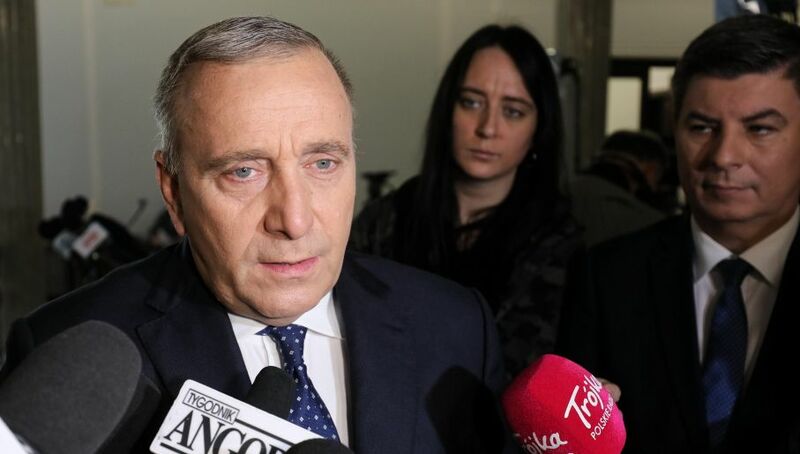 Grzegorz Schetyna, the leader of Poland’s largest opposition party the Civic Platform (PO) told the EPP Congress in Helsinki held on Wednesday that if his party wins power in parliamentary elections of 2019, it will propose that Poland joins the Eurozone. Mr Schetyna assured those gathered at the Congress that his party viewed Polish membership of the European Union as a priority. “After we remove the populists from office, we will offer the Polish people a plan for joining the single currency zone. We will initiate a nationwide debate aimed at gaining wide social acceptance for such a decision,” he said. Poland is obliged by its EU accession treaty to join the Eurozone, however, that treaty does not stipulate a deadline or timetable for joining the it. Poland did look at joining the Euro during the lifetime of the last PO-PSL government. Donald Tusk, PM at the time, actually committed Poland to joining by 2012. However, this target date was soon shelved in the aftermath of the financial crisis of 2008. In fact, the last PO-led government and the Polish national bank (NBP) adopted a policy of gradually devaluing the złoty in order to avoid recession. They came to the conclusion that Poland was not yet ready to join the Euro, and that the Eurozone was not stable enough. In 2015, the incoming PiS government signalled from the outset that it was not going to consider joining the Euro in the short or medium term. However it has not ruled it out for good. PM Mateusz Morawiecki has said that for Poland to be able to consider joining the Eurozone, its GDP per head should be at the level of 80-85 percent of Germany’s. PiS have also said that any introduction of the European common currency should be preceded by a referendum. Such a referendum would have to be consultative as for Poland to join the Euro would require a change in its constitution. The Polish złoty is referred to directly in the constitution as Poland’s currency. To change the constitution requires the support of two thirds of Parliament, a majority no political party has ever been near in democratic Poland. Opinion polls have shown Poles to be skeptical of joining the Euro. This is because they fear it could lead to price rises and they still remember the instability of the Eurozone during the financial crisis. However, the PO believes that this skepticism can be overcome by Poles’ desire to be a part of an integrating Europe, rather than on its fringes. The party has attacked the ruling PiS for its alleged Euro-skepticism, arguing that the disputed judicial reform could even be the beginnings of “Polexit”, a claim the ruling party has vehemently and unwaveringly denied. The PO argues that Poland needs to rejoin the “European mainstream” and look to work with Germany and France, rather than prioritising the V4 group (Poland, Czech, Slovakia and Hungary) or the Three Seas Initiative. The party is preparing for the European elections due in May next year. It hopes to do well in these elections as the they tend to attract a bigger turnout in city rather than rural areas. Any success in the European elections would come just four months ahead of Poland’s parliamentary elections and could boost the party’s support in them.